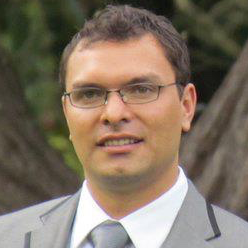 Daniel Guzmán is a statistician with particular expertise in survey statistics. Since 2006 he has focused on statistical analysis and the process of documenting political violence in conflict and post-conflict scenarios, especially in Latin America. He has worked as a quantitative analyst and adviser to governmental and nongovernmental agencies in Colombia and Guatemala about how to analyze human rights violations while addressing potential statistical biases in the information. He has provided expert statistical testimony in successful trials against Guatemala’s former police chief and two former police officers of the forced disappearance of a student leader. Daniel is currently a statistician for the Survey Research Center at the University of Michigan. He received his MSc in Survey Methodology from the University of Michigan and his BS in Statistics at the National University of Colombia, in Bogotá, Colombia.